Who You Gonna Call?! 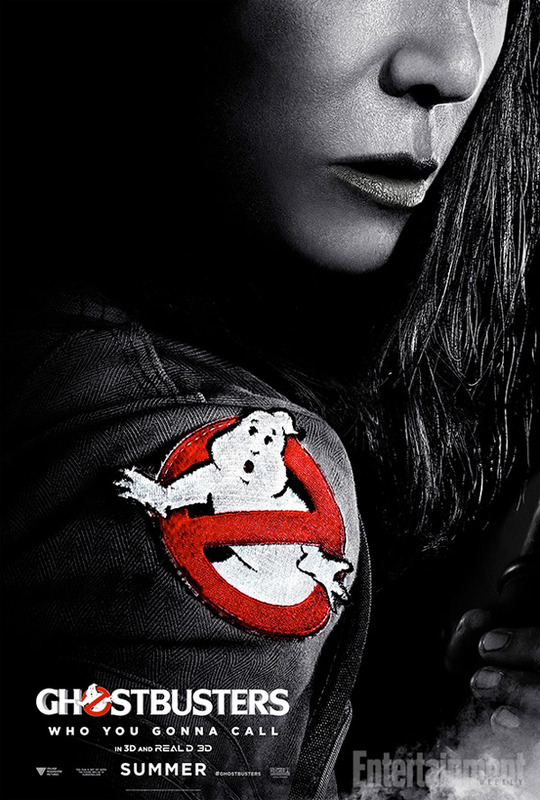 Sony has unveiled four new teaser posters for Paul Feig's Ghostbusters, which is starting to look like it might actually be pretty damn good. 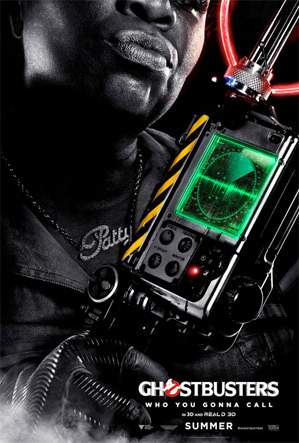 The posters feature the four new Ghostbusters each with a different "weapon", including proton packs for most of them. 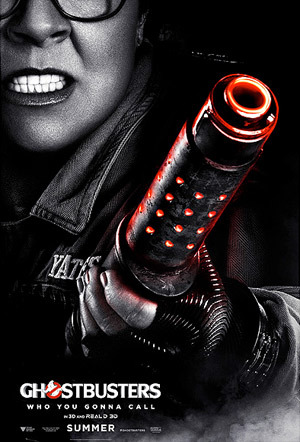 It stars: Kate McKinnon as Jillian Holtzmann, Leslie Jones as Patty Tolan, Melissa McCarthy as Abby Yates, and Kristen Wiig as Erin Gilbert. I really love the look of these posters, I'm so glad they're being bold and fully embracing the badassness of this movie, with the black background and colorful highlights they really stand out. I dig it. The goggles are a nice touch with McKinnon, but where's Wiig's weapon? Hopefully we'll see a trailer soon. 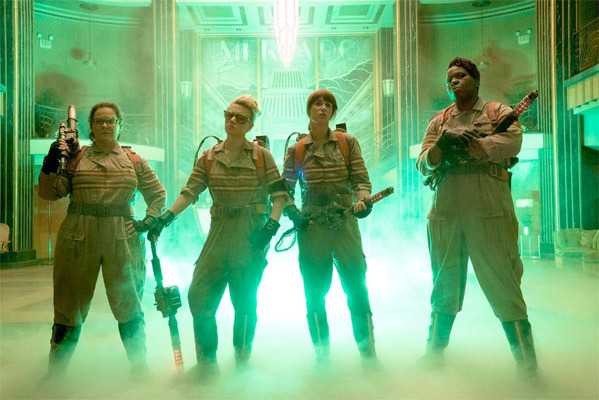 For more updates on the new Ghostbusters, follow director Paul Feig on Twitter @paulfeig. Are you excited? I'm still hoping this is all some joke and its no actually happening. if there aim was to make me run to my collection and watch the iconic original to try and forget that this even exists, then they succeeded. Certainly is. Your pic of White Zombie however is the exact opposite. "Badass"?? Sorry, AB. I gotta disagree with you on this one. I'm really can't waiting for this movie, but... this poster are not a good photoshop work. it has some proportions problems, specially with the head, feels very forced. specially the McCarthy and Kristen posters. Even so i really really want to see this movie. What? 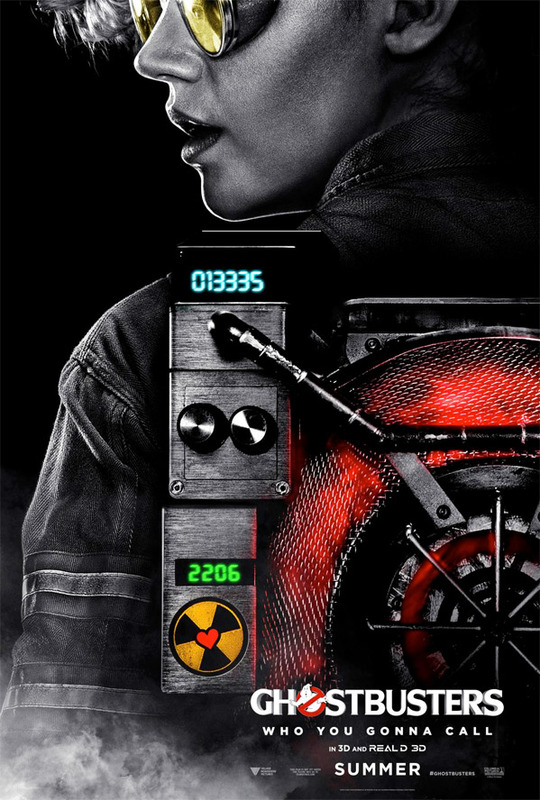 No proton gun covering one eye, poster? Harold Ramis would be rolling over in his grave. This is more like Garbagebusters. Liberal Hollywood can keep this one. It's a reboot that takes place in the same universe? It's not a sequel but takes place after the events of the original movies? Feig said, "no connection" to the previous films... except of course logos, technology, and surely reuse of famous qutoes. Nothing against the actresses in this film, but no thanks, Feig.